﻿Your home away from home - our guest rooms are part of our home for you to share. We are ready to welcome you into our beautiful home. A traditional B&B in tranquil Horseshoe Bay which is on the northern end of Magnetic Island. You will be staying in one of the two spacious rooms with your own private entry. Bathroom facilities are shared with other room, depending on bookings. The rooms are air conditioned and also have ceiling fans. ​We now offer a Bush Retreat, ideal for families, at the rear of the property adjoining the national park. Accomodating either two adults and up to 3 children or four adults. 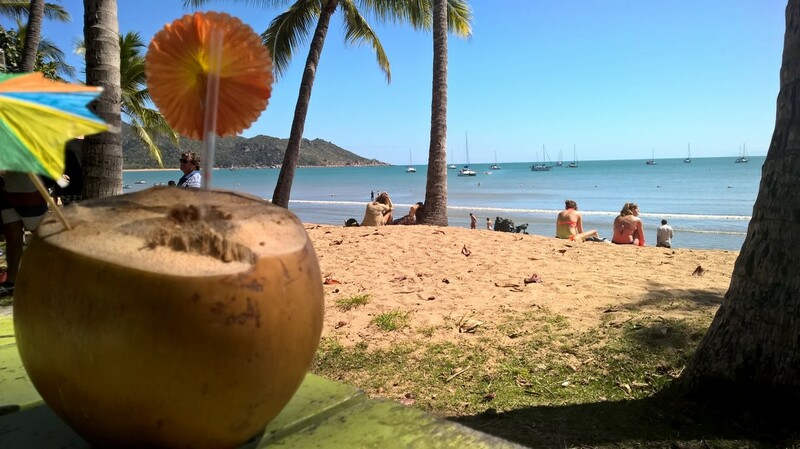 With peace and quiet (and privacy), you will have the perfect holiday on Magnetic Island. Free pickup and drop off. We offer a FREE pick up and drop off to the ferry, (please contact us early to make arrangements). ​Your hosts Philip and Jess will assist you to get your bearings and introduce you to the local wildlife along the way. We offer a continental breakfast in house, or cooked breakfast at a local beach side cafe, The Early Bird. You're welcome to alternate. Magnetic Island is only 25 minutes by passenger ferry from Townsville, North Queensland. There is also a vehicle ferry (45 minutes) if you prefer to drive to the island. Three quarters of the island is National Park, with 23 secluded beaches and bays, tours, water sports, restaurants, live music and our friendly island community, you can choose to either relax, wander the famous Horseshoe Bay beach or enjoy one of the many stunning walks through the National Park to breathtaking lookouts, or just kick back around the pool and rejuvenate at your home away from home - the choices are endless. Stay 4 nights and get a FREE SUNSET TOUR! Stay with us for four nights and get a FREE 4WD tour to remote West Point beach for a fabulous sunset with drinks and nibbles included. Your hosts Philip & Jess along with Griffin the dog are your new hosts of Magnetic Island Bed and Breakfast after recently purchasing the property from Robyn & Phil. We would like to thank Robyn and Phil for establishing a beautiful; bed and breakfast nestled amongst tropical surroundings on Magnetic Island. We continue to look forward to sharing our little bit of paradise with our guests from both within Australia and around the world. Visit our gallery to view our rooms and tropical island surroundings.